Xploree - World’s 1st AI powered keyboard, Made in India for Indians! As an Indian there are many things in our country that make us frown, curse our inefficient polity or make us wonder how different it would have been if we were in some other developed country? But when I get back home after a hard day’s work to a welcoming warm reception from family members, I realize that it is India and us Indians who are gifted with this warmth. Warmth that makes us love each other unconditionally, warmth that embraces regardless of caste or creed, warmth that wishes to share with others equally all that is available. It is this motivation that makes us stand erect whenever the national anthem plays, it is this motivation that keeps the spirit of nationalism ignited in us, assuring that one day our nation will be looked up to and respected for the trials and tribulations it has overcome to become a loving, independent and respectful nation. Apart from the glorious history (video) our nation never flaunts or beats drums about, the present crop of individuals, visionaries, enterprises are silently writing the future of our nation. Be it Satya Nadella heading Microsoft or Sunita Williams, Indian origin astronaut selected by NASA to be part of their next expedition to space, Indians are at the forefront with unmatched distinct accomplishments. It is this drive to be the best that drives the team at Xploree, world’s 1st AI Keyboard to rewrite the way users interact and utilize keyboards on their smartphones. From the onset Xploree has been an indigenously developed keyboard application that utilizes the combined potential of artificial intelligence, machine learning, natural language processing and understanding. Xploree is a futuristic keyboard designed by Indians for Indians keeping in mind the intrinsic cultural and language nuances that makes our country unique. The keyboard not only helps you discover hyper contextual content in the moment, it also helps you express in 40 Indian languages. The keyboard also has a transliteration feature which enables you to type in a language and find their equivalent in 11 different Indic languages besides giving you the option of using a mix of Indian and the English language to help you express the way you like it! 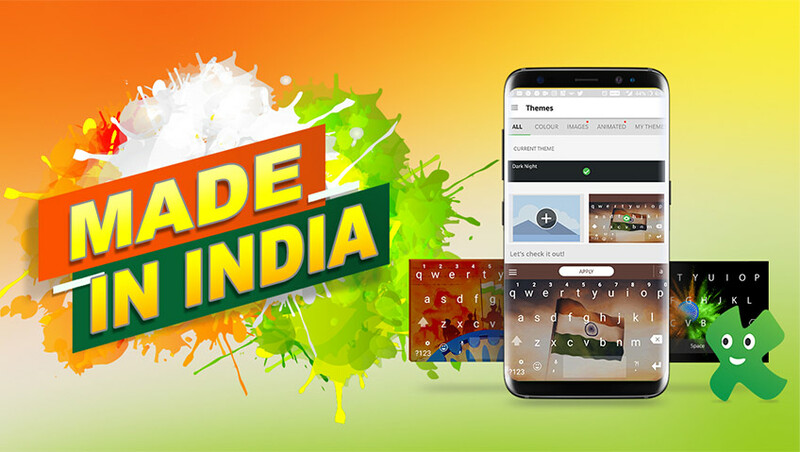 This Independence Day show your support by installing Indian apps which are, ‘Made in India’ and ‘Made for Indians’. Xploree allows you to write in more than 40 Indic languages and shows content for Indians across categories like Astrology, Bollywood, Cricket and a lot more! Win Big! Express your patriotism through keyboard themes!